George Chen ran the weekly comedy showcase The Cynic Cave at Lost Weekend Video in San Francisco. Now based in Los Angeles George runs a monthly show at Giant Robot Gallery.He has performed at Sled Island Festival in Calgary, Rogue Island Comedy Festival, Nevada City Film Festival, the SFMoMA, Yerba Buena Center for the Arts, as well as multiple appearances at SF Sketchfest and Put Your Hands Together. 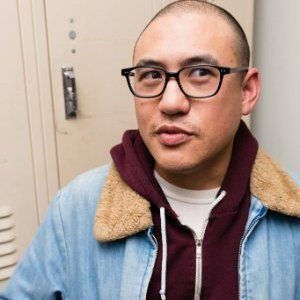 Chen appeared on HBO’s Looking, worked on the EquiTable app, and co-hosts the Sup Doc podcast.